The events around and causing the imprisonment of As I Lay Dying frontman Tim Lambesis is a well-publicised happening which does not need our commentary. It also left the rest of the band with a major decision. No strangers to success and acclaim, the remaining quartet of guitarists Nick Hipa and Phil Sgrosso, bassist Josh Gilbert, and drummer Jordan Mancino had to decide their next step and thankfully chose with music their life and calling, to strike forward with a new project and what a stunning proposition it has turned out to be. Recruiting lifelong friend and ex-lead guitarist/vocalist of Oh, Sleeper, Shane Blay, the quintet emerged as Wovenwar and has just unleashed a monster of a debut, in their fifteen track self-titled album. Exploring with muscular ferocity and passionate tenacity the melodic metal side of their imagination, the band has created a proposition as distinctly different yet equal in quality and temptation to anything their previous triumphs have unveiled. Recorded with producer Bill Stevenson (Descendents, Rise Against, NOFX, Black Flag) and mixed by Colin Richardson (Slipknot, Machine Head, Trivium), the album also reaps with sinew driven voracity the rich essences of hard rock to create blazes of sound and enterprise which stand astride genres whilst offering recognisable flames within fresh adventures. On top of that there are the, at times breath-taking and always tantalising vocals of Blay, his clean tones which helped shape his previous band given full expansive rein here to excel and show the strength and weight of the man’s power and craft. It is a magnetic and persistently surprising mesh of sound and ideation which courses the album and immediately awakens attention and appetite through All Rise which follows the opening intro of Foreword. A drama instilled prelude to the creative emprise ahead, the opening track makes for a potent coaxing before the second track explodes with a thumping roll of rhythms, agitated riffs, and a sonic shaping of melodic intent. It is a busy entrance soon enhanced by Blay and the heavy throated predation of the bass. The track is swiftly as anthemic as it is technically bewitching, guitars and drums nimble footed yet leaving heavy impressions with their stormy endeavour. Death to Rights erupts with similarly intensive and rugged energy and adventure next, jagged riffs and demanding rhythms evolving into scorching weaves of melodic passion and sonic intrigue, though that only hints at the fluid movement and invention within the blistering encounter. As the album, every aspect of the song calls out with invigorated energy and refreshing ideation, raw and almost antagonistic power crowding in with sultry melodies and rapacious infectiousness. It is probably unfair to say the members of the band have found a new lease of life with Wovenwar but certainly there is a freedom and elation to the sound and passion behind it which is as magnetic as the songs themselves. Through Tempest and The Mason, band and album continue to impress with no restraint. The first of the two finds a carnivorous tone to the bass which alone ignites the passions but also makes a shapely blend of that aggression with an elegant melodically tempering countenance to remind of a more ferocious Sick Puppies. The second of the pair digs into a more furious breath in sound and personality, though the rich tones of Blay never allows the primal intent and fury beneath his vocals to have complete reign with their glorious causticity. The same applies to Moving Up and Sight of Shore, though they are more even tempered naturally with easily pleasing and flawlessly accomplished if less imposingly striking presences compared to previous songs on the album. Each leave a greedy appetite well fed nevertheless before Father Son makes its claim for best track notoriety. The song is simply bewitching, its soothing melodic opening caress over a metronomic lure, irresistible coaxing which increases in temptation as soon as Blay opens up his deliciously mesmeric tones. With keys an evocative ambience over the picturesque narrative of the guitars, and both colourful scenery in a mountain range of epic rhythmic enticement, the track is pure poetry as it leads to its mouth-watering climactic crescendo of a finale. Profane then thrusts ears into a tempestuous exploit with thunderous rhythms and scathing riffery, the track the rawest and anthemically volatile track on the album yet still holding a seduction which wraps around the aggression and vocal roars which Blay unveils within ever formidable delivery. It is a beast of a track which along with its predecessor puts the likes of Archers and Ruined Ends under pressure to deliver. Neither falls at the hurdle though, the first a voracious blaze of entwining sonic rages, passion drenched vocals, and flavour fuelled melodies whilst its successor is a deeply satisfying mix of abrasing textures and contagious designs ridden by earnest and heated vocal expression. Things take a bit of a breather with Identity, its well sculpted and unquestionably impressive presence also lacking the spark of those leading up to its moment, though again to be fair there is nothing to leave disappointment a chance to breed. Matter of Time is in its own individual way the same, which offers the suggestion that maybe the album was a couple of songs or so too long but with its compact yet weighty intimidation and stormy air leaving senses and thoughts contented, you feel to omit it and other tracks would be to our real loss. The album is completed by the acoustically opened Prophets, another spellbinding matching of Blay’s voice and melodic guitar enticing as group harmonies float engagingly over the poetic scenery which works into a climactic landscape of equally thrilling provocation, and lastly the cinematic instrumental Onward which gives the imagination one final flight to immerse in. It enjoyably concludes a scintillating proposition which proves that every cloud has…etc. Though its members are no newcomers to creating inspirational metal, Wovenwar has made a debut which definitely is startling and leaves anticipation for their next step afire, and the passions right now basking. Few bands that have reached their centenary have been as influential and powerful in a genre or metal come to that as Californian metalcore band As I Lay Dying. To celebrate the band has released Decas, a twelve track release of original material, covers and remixes, a gift to the fans and themselves to enjoy the occasion. 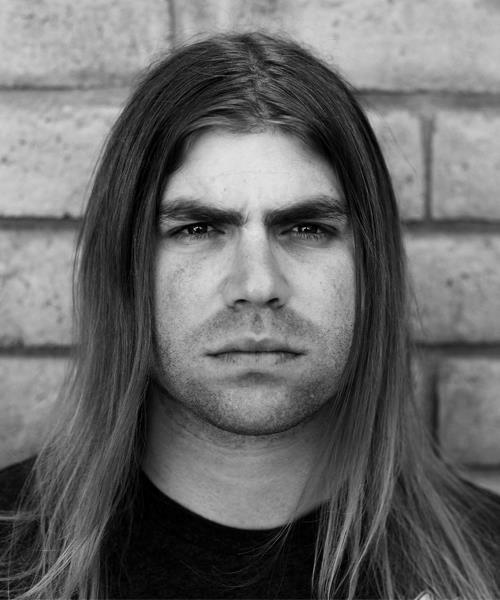 We had the pleasure of asking drummer Jordan Mancino about the release and of course As I lay Dying and their ten years as a band. 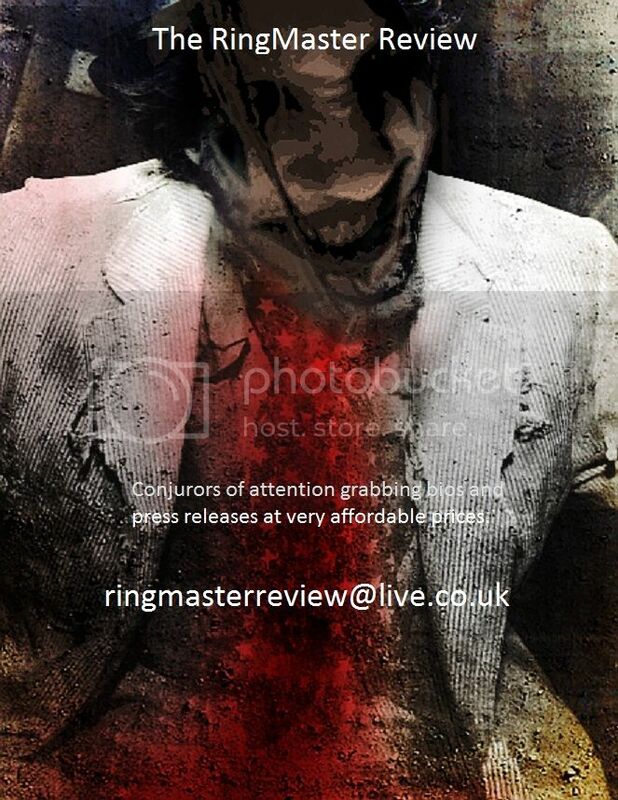 Hi and thank you for taking time to chat with us here at The RingMaster Review. We will start with the obvious question how does it feel to be celebrating your centenary as a band? It definitely feels good knowing that we’ve made it as a band this long. Of course, we attribute much of our longevity to our amazing fans. Without them we wouldn’t have been able to do this. Obviously one hopes their band will be one that lasts and finds success in some degree, but what were your initial hopes when starting out or was it just a case of living the moment as a band? The only thing that was on our mind when we started this band was to play heavy music and tour whenever and wherever we could. We didn’t think this far ahead. We try not to dwell on the future or the past too much as a band, which is why I think we’ve been able to stay relevant all these years in a constantly changing genre of music. 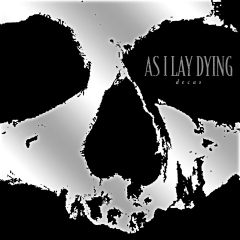 As I Lay Dying has obviously grown as a band over the past decade but what would you say is the biggest change? I think the biggest changes have been on an individual level. Getting to travel the world and experience life as we do has allowed us to learn quite bit about the world and who we are as people. I know for a fact that we feel so fortunate to be playing music that we love and sharing it with people across the globe. How has the music world itself changed in your time as a band in its attitude and support? A TON! But, what industry doesn’t change? Surviving for these past 10 years we’ve developed the ability to adapt to certain circumstances and sometimes change or make your own rules. Who knows what the industry will be like in another 10 years, but the fact will always remain that people need and want good music and to see that music performed in a live setting. You can’t replace that. Looking back is there anything that you would have changed either musically or in other aspects involved in being in a band? Of course. Hindsight is always 20/20, right? But, we’ve been pretty lucky over the years and haven’t made too many decisions that result in constant regret. Overall we are quite happy with the way we’ve done things as a band in every aspect. We’ve always stayed true to what this band was from the get go, that is writing and bringing heavy music to the masses. How has the songwriting changed as a band and individually? We are constantly growing as individuals and as musicians and songwriters. In the earlier years we had many member changes, which of course kept the songwriting progressing. Your new EP Decas marks the centenary and I hope this comes over as meant haha but have you approached it more as a celebration release with the covers and remixes than a landmark in the band’s productivity? I think it’s more of a celebration for our fans and us and I definitely don’t take offense to that. The content of this record isn’t typical of our band, which is why it is a special release and not to be viewed as a normal full length. It’s supposed to enjoyable, fun, interesting, heavy, etc. while showing another side of this band; hence the covers, and remixes and extreme originals. The three original songs ‘Paralysed’, ‘From Shapeless to Breakable’, and ‘Moving Forward’ are typically immense and striking, are they a taste of what is to come on the next album? Thanks! Well, I would say a taste, but that’s as far as I can take it ‘cause we haven’t written anything yet for the new record. All I know is we are going to push the elements and characteristics of our sound more and more with every record we put out. I guess it would get boring if we kept putting out the same record for our fans and us. The covers of songs by Slayer, Judas Priest, and the Descendents (which your version we adore here) give homage to your influences. Were these the main three bands that make a mark on your musical lives or just the songs that worked best from an array of influences? Who now of contemporary bands gives you food for thought when it comes to writing songs? I have to be honest and admit remixes are a bugbear here at the review, still trying to understand their need anywhere generally. So have to ask why did you include them on the EP? Was it your idea from the start or was it they (the people remixing the songs) who approached you? It’s what a lot of our fans requested. It isn’t typical for us or a metal band to go the remix route, but, hey, we asked our fans what they wanted to hear and it was a common request. They’re on the record to be listened to by those that want to listen. For those that don’t enjoy that stuff, there’s a mechanism called a stop button on most audio players… Sorry for the sarcasm. Haha. We did it for our fans! They keep us and this scene alive and deserve some respect and that was our way of showing it. 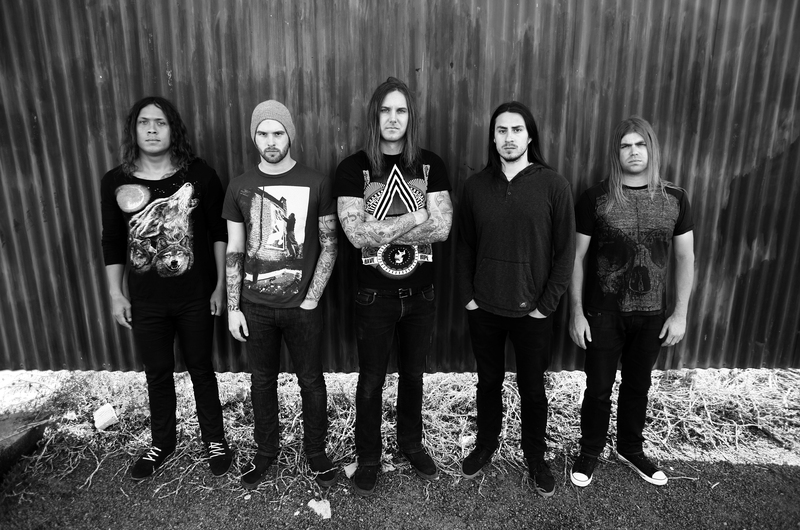 What is next for As I Lay Dying, tours, album? We are currently finishing up a Euro tour with Amon Amarth then head straight to our US headliner, A Decade of Destruction Tour, then after that it’s back in to the studio for another record. We aren’t going to travelling the world supporting Decas other than this tour. It’s supposed to be something special and we didn’t want it to seem as if we were trying to push this as a new full length original record. Over the ten years of the band what is the one moment that has made the biggest impact and been the most satisfying? It’s hard to say because there have been so many great moments. Any time my family gets to be at one of shows always means a lot. The amount of support I received from them is mind blowing and I wouldn’t be here without them. A great many thanks for talking to us, it has been a pleasure. Would you like to leave with a word to your fans and metal lovers everywhere? Thank you! You questions were thoughtful and I enjoyed answering them. Decas is available now via Metal Blade Records.